At Amador Dental & Orthodontic, we use laser dentistry procedures to give our patients a more comfortable dental treatment experience. Dr. Rondon, our in-house periodontist, is able to use laser dentistry to deliver precise treatments that are more comfortable in a shorter time. For patients who need surgery for severe gum disease that cannot be cured with antibiotics or other treatment methods, Dr. Rondon will perform a gingivectomy using laser dentistry. Even if someone has straight, healthy, and symmetrical teeth, the beauty of their smile could be overshadowed if the gum line is uneven or falls too far below the lips If you’re suffering from a “gummy smile”, laser dentistry could be the right solution for your smile. 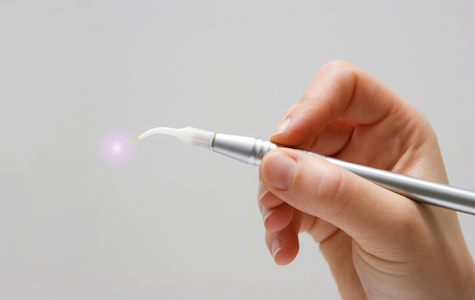 For patients suffering from cold sore or canker sores, Dr. Rondon often recommends laser dentistry treatment. This laser dentistry treatment works by heating the sore lesion in order to kill the virus and stimulate your body’s healing. Treatment typically lasts about 15 minutes, and most patients feel better immediately following their appointment. 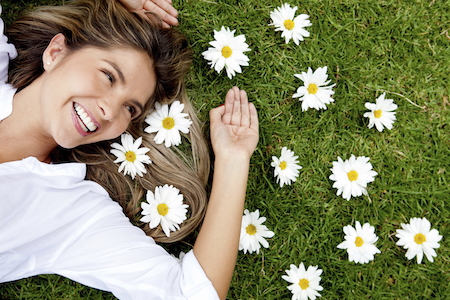 Wondering if laser dentistry could be the answer to giving you your best, healthiest smile? Give Amador Dental & Orthodontic a call today to schedule your laser dentistry consultation appointment with Dr. Rondon! Our resident orthodontist provides a full spectrum of orthodontic services for our Pleasanton patients, including metal braces, Invisalign and more!